Career Day 2014: Parents, Share Your Professional Experiences! Career Day is coming up on April 24! Please consider sharing your professional experiences with our high school students that day from 4 to 6 p.m. Panels will be formed based on industry (law, finance, business, media, theatre, the arts, medicine, science, technology). We will ask speakers to participate in two sessions to ensure that all students get to see all that appeals to them. If interested and available, please send a resume or brief description of your work experience to careerday@hunterpta.org. 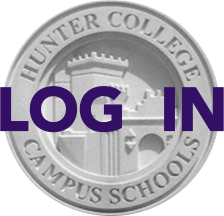 If you have any questions or would like to help out the day of the event, please email volunteer@hunterpta.org.